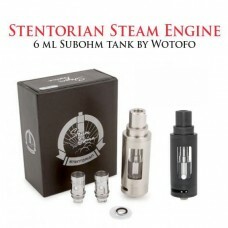 The Stentorian Steam Engine is Wotofo's rendition of their first Sub Ohm Tank with a massive tank capacity of 6ml. Not only is the Steam Engine asthetically pleasing, it's also constructed with superior Stainless Steel, which definitely gives it some quality weight. A unique feature the Steam Engine has is its adjustable juice flow control system, which can easily be adjusted by twisting the top cap. 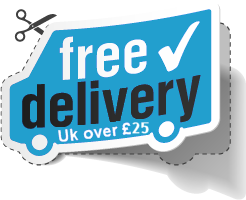 The optimal amount of juice flow will depend on the VG content of your e-juice. In addition, Wotofo has implemented a dual layer drip tip sleeve design to minimize heat transferred to the drip tip, which will allow you to vape at higher wattages more comfortably.